My Christmas in your mouth cookies are ones you are just going to love! Chocolate bar cookies with melted chocolate inside, cocoa, and a touch of orange liqueur are topped with a sour cream chocolate ganache are going to make you think it’s Christmas inside your mouth. I recent had dinner with some of the lovely ladies at Slow Cooker From Scratch, we had lunch at Salt Lick while we were attending BlogHerFood16, and she replied “don’t worry about what it is (referring to a dessert), it’s Christmas in your mouth!”. I knew I had to come up with a recipe that was Christmas in your mouth. So I submit to you my first recipe for Chocotoberfest16. 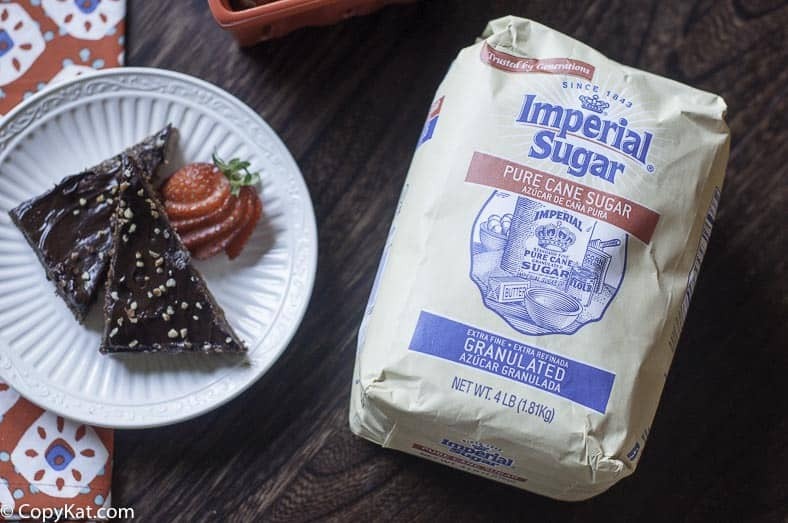 Thank you to the lovely folks of Imperial Sugar for their generous shipment of sugar, I came up with some chocolate bar cookies that have a touch of orange liqueur, lots of chocolate, and they are topped with sour cream for a luscious chocolate ganache. These cookies are super simple to make. You will make a basic bar cookie that fills a quarter sheet cookie pan. These pans measure 11 by 7 inches. I used a blood orange liqueur when I made these, but you could use triple sec, or even Grand Marnier, if you don’t do liqueurs, you could use orange flavor. It’s up to you. Do you love chocolate? 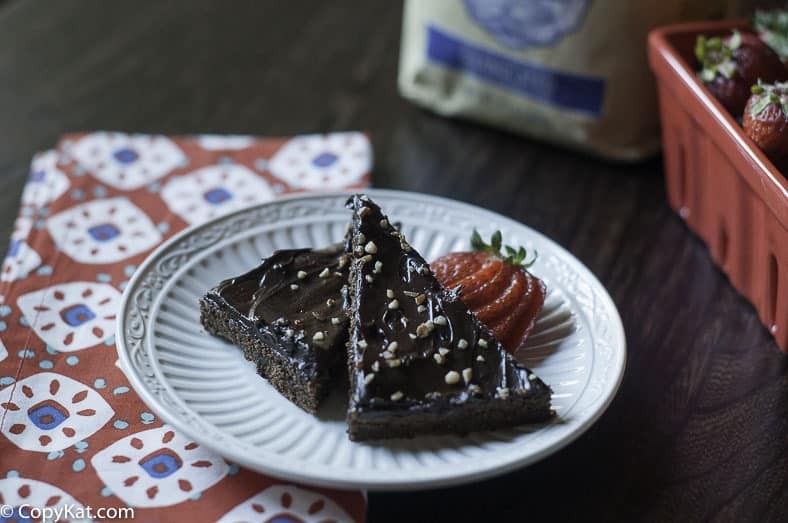 Be sure to check out some of these other great chocolate recipes, celebrating Choctoberfest! 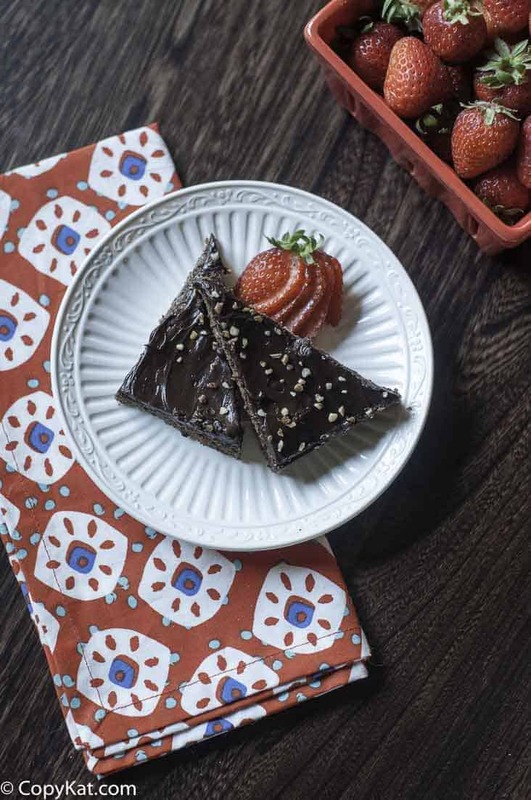 These cookies combine chocolate ganache, a brownie, and orange essence. Preheat oven to 350 degrees. Brush an 11 x 7-inch pan with melted butter, or spray with non-stick spray. Line the pan with parchment paper, this will enable you to simply lift the bar cookies out of the pan. 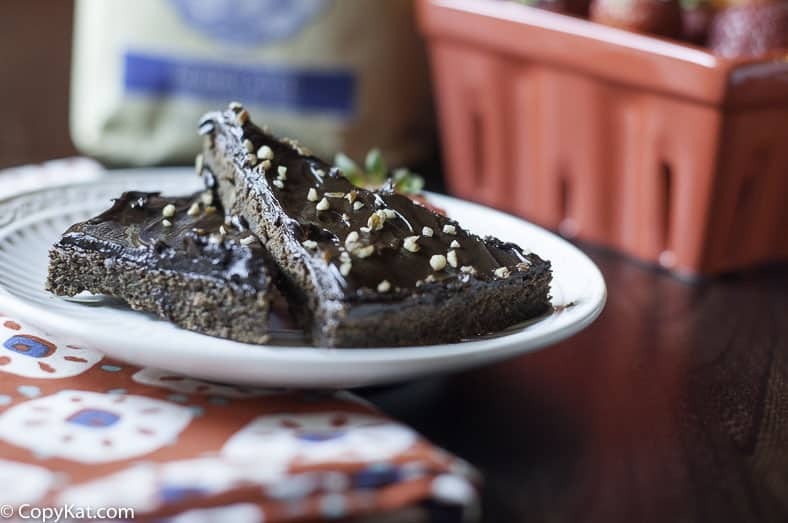 Melt chocolate by either placing in a microwave and heating for 10-second intervals, stirring chocolate between 10-second intervals, or by placing chocolate into a glass bowl that has been placed into a pot of simmering water. Stir chocolate until it has melted. Place all ingredients into a food processor. Process until the mixture is smooth. Spread batter into pan. Bake for 25 to 30 minutes or until a toothpick inserted center comes out clean. Cook 10 minutes before removing from pan. Heat chocolate for icing and sour cream in a small pan over low heat until the chocolate melts. Spread completely melted chocolate and sour cream over the cookies. Sprinkle with nuts if desired. After chocolate sets up, it takes about 40 minutes cut into triangles. What do you mean by “icing”? Sorry. I reread. I know. Duh! Looks amazing! Thank you! These look sinful! I love trying new recipes for the holidays! This looks lovely! I can imagine the joy biting into them!! Yes please. Anything that taste like Christmas in your mouth I am so in. I am going to make these just because they look and sound delicious. I would love to try this recipe! Who would not want Christmas in your mouth? This looks so yummy and I love the story behind it. These are pretty easy to make! You should give them a try. Good Morning! And Happy Birthday! How can Christmaas in Your Mouth Cookies be made with a cake mix/brownie mix?? My years of measuring are past… I’m a Boomer and grew up when there were no mixes!! Or mixers!! Everything by hand. Not so bad, loved every minute of cooking and baking. I am terribly confused, these cookies are made from scratch. I did use a food processor, so it wasn’t completely by hand. Can you help me out with how you thought this was made with a brownie or cake mix? I almost feel like you didn’t read my recipe. Hi Stephanie: I wonder if you have ever re-created the Cabbage Beef Soup from Shoneys? Oh my, the cookies look amazing. It was so fun hanging out with you, and thanks for the shout-out for Slow Cooker from Scratch! Thank you 😉 I had such a great time with you and your sisters! I hope we do it again soon! I don’t have a Furrs near me, but I will see what I can do.